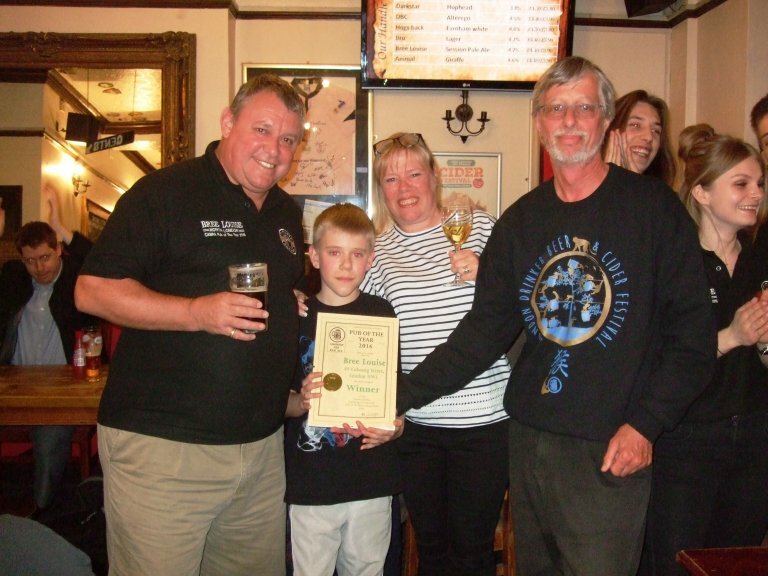 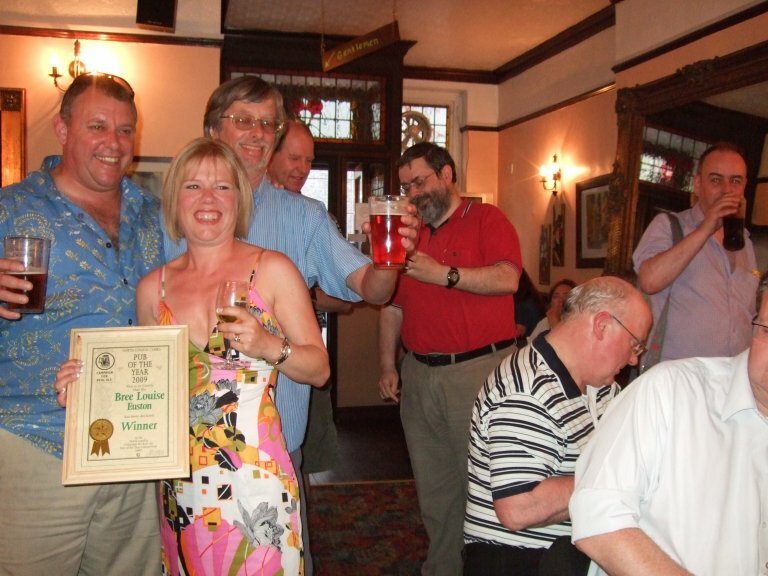 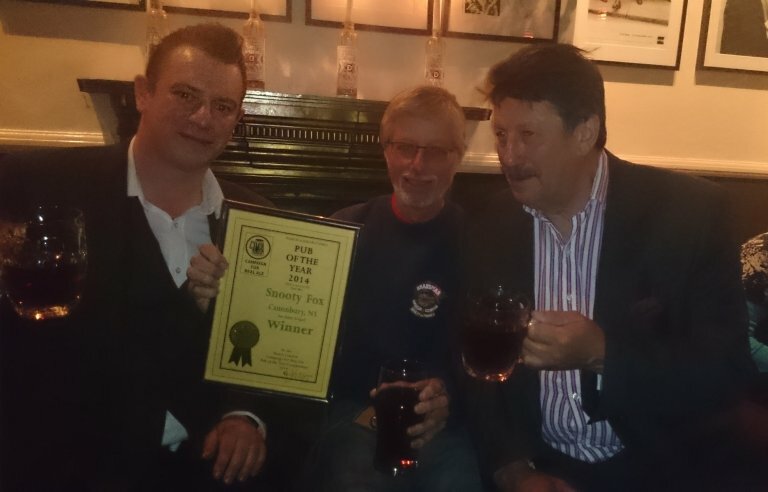 Congratulations to Snooty Fox is our 2014 Pub of the Year and also congratulations to Doric Arch close runner-up. 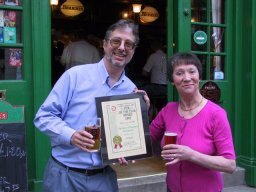 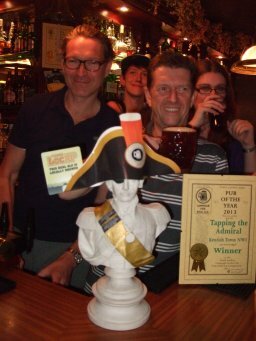 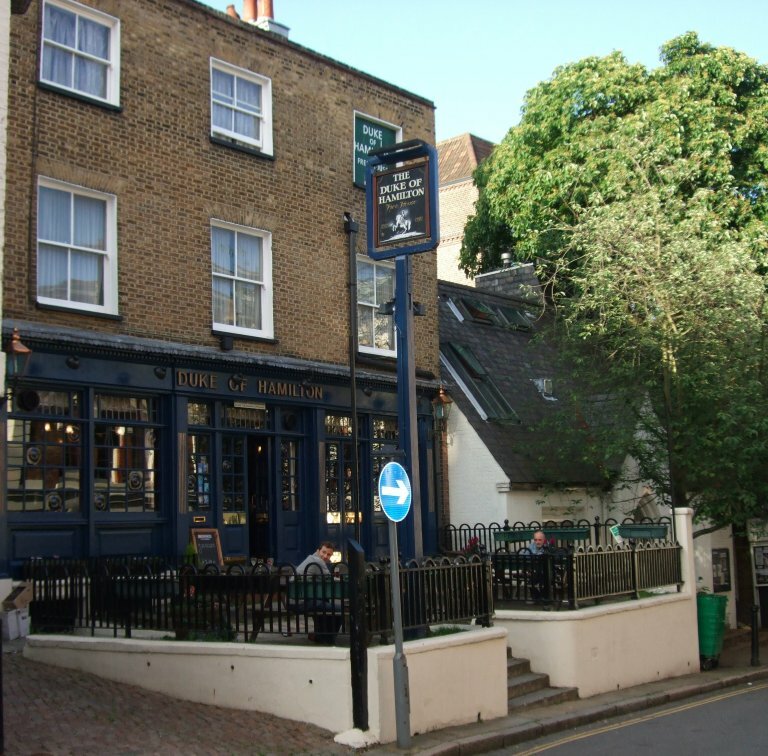 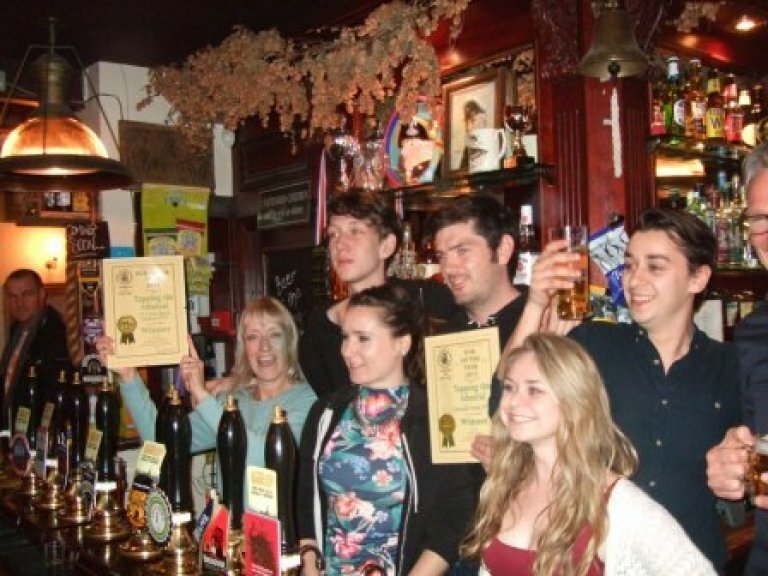 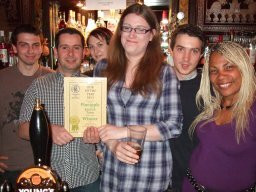 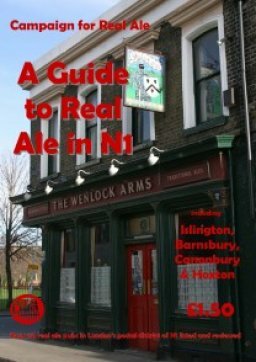 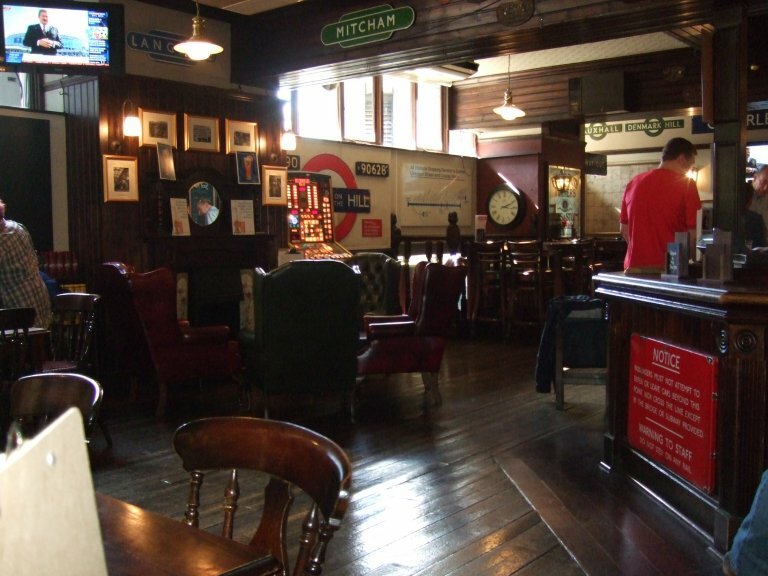 The other four finalists were The Bull N6, Howl at the Moon N1, Queen's Head WC1 and Railway Tavern N16. 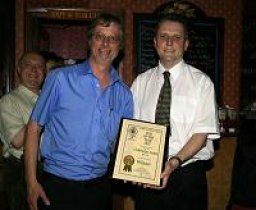 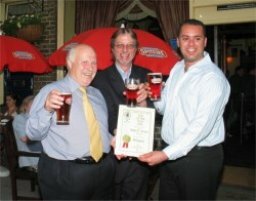 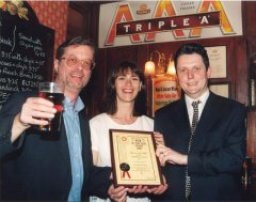 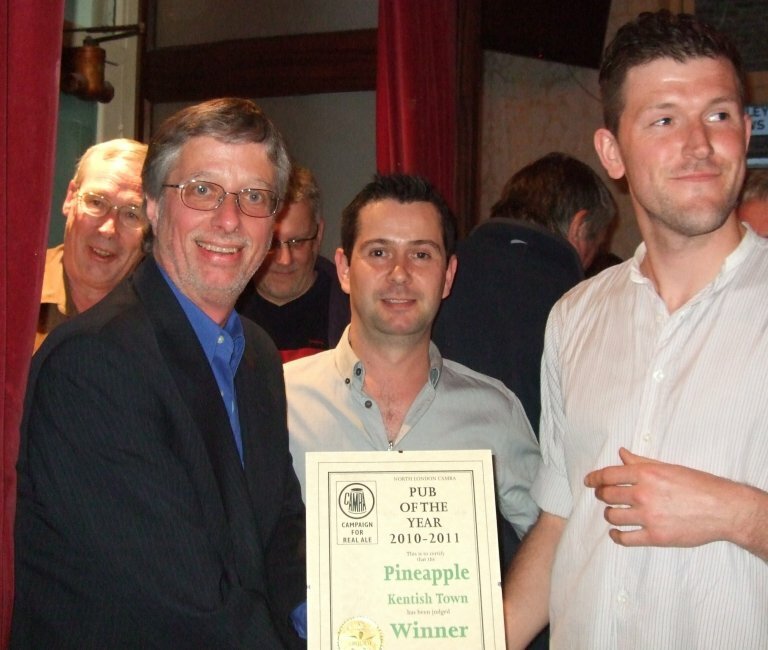 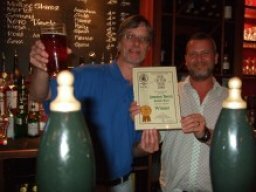 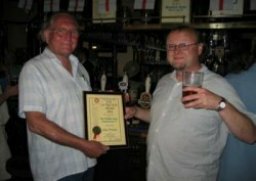 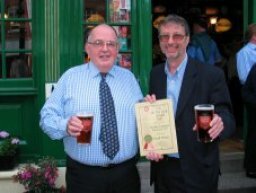 Picture shows licensee Peter Holt (left) accepting the Award from Branch Chairman, John Cryne. 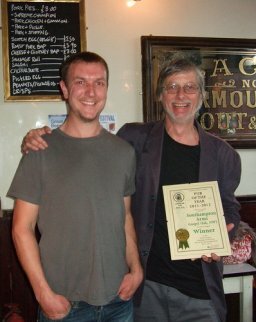 Pub now closed - fell to the developer's wrecking ball in 2011 despite a campaign by local residents and CAMRA to save this well-loved community local.